Home / Dangerous Cambodia / Phnom Penh / sihanoukville / videos / Cambodia 2013 -Is it still safe? I don't think so. Cambodia 2013 -Is it still safe? I don't think so. 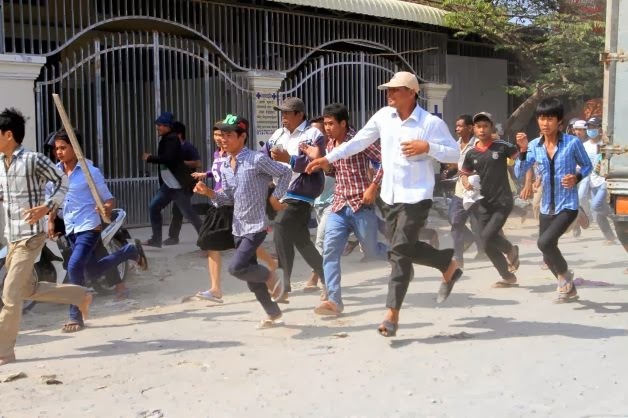 Robbery Season in Cambodia-Worst year ever. Like most questions this can be answered with either a yes or no and it depends on you. First, most of the street lights are out in all but the main boulevards. One should not be out walking along the streets at night except for Sisovath Quay which is the street that runs along the river and is filled with restaurants and stores that stay open in the evening. There is a limit to this though. On the far ends of the street, when the shops and lights fade away, you should also. Even then one must be alert. Getting robbed in Cambodia is a bit different than getting robbed in Thailand. What they do here is to shove a gun in your face. They will shoot you, believe me. If you are stupid enough to be wearing your Rolex or the watch your grandmother gave you for graduation, too bad for you. Give up all your valuables. Well, almost. I usually carry money in my front pocket or my wallet but I also have an ankle wallet attached with Velcro. These are sold in many travel stores and on line. I doubt I would give that up and I doubt I would be searched there due to the Asian aversion to a person's feet. As for hiding your money in a money belt or in a carry bag around your waist - they will take that for sure. As for the person who said they carried pepper spray. I would rethink that. These people want your money and are accustomed to violence. Are you? Is it worth it? You already have with you a few of the most powerful weapons on earth. Your eyes and your brain. If you sense there is something wrong with a situation, get out of there. Don’t let someone saying, “Hey don’t you like Asian people. You are offending me,” stop you, keep walking. Don’t be flattered by complements or attention either. Violence, robbery and murder rarely happen at random. They are usually planned. They do not happen ‘all at once’ or ‘out of the blue.’ If you are alert and have an open mind you will receive a warning first. Something odd will happen. A stranger will nod in your direction; someone will start walking very close to you. Listen to your sixth sense. Pay attention. Don’t be afraid to be afraid. A touch of fear or uneasiness can be your best friend. Don’t think it can’t happen to you. When the fellow went to Martini’s in Phom Penh did he notice the signs they have pasted over the urinals? It reads something like this. “Martinis does not employ moto-dop (read motorcycle drivers), and are not responsible for their actions. This sign arises from the practice of the driver, if you get on the back of his bike for a ride home costing you only a dollar, driving on a dark road past his friends who will pull up next to you on a motorcycle. The rear passenger will be carrying a large hand gun and in a little while, your money also. The best thing to do is not be a cheapskate. (The guy that wanted to walk to Martinis must be totally unawares, sorry about that). Hire a moto-driver or better yet a car from in front of your hotel. They work in these spots the year round and are usually good, responsible people. Keep them for the entire night. A moto-taxi driver will usually only charge you ten bucks. If you get one on the street or in front of a bar you are taking a chance. The exception to this rule may be in Sihanoukville where all of the drivers are nasty pieces of work. I would ask the hotel to recommend a driver. There are many interesting things to see in Cambodia and it's worth it to travel a bit. When it starts to get dark, no before that, find a place to stay for the night. Do not travel at night anywhere in the country in Cambodia. Want to go out for a drink at night? Don’t stray too far from your hotel and if it looks like the locals are drinking heavily as is mostly the case-don’t stay. If you are walking in the woods during the day exploring the countryside and have to go to the toilet, don’t step off the path to be a nice guy and make poop in the woods. There are plenty of land mines still around. 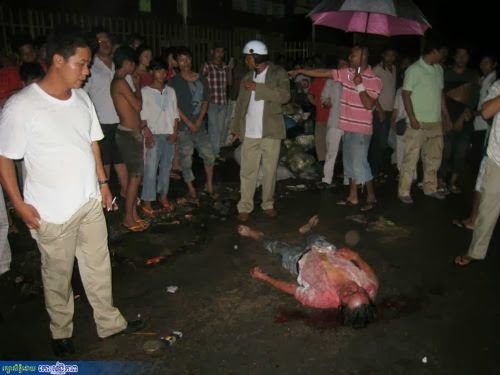 Here you ca read more horror stories about Cambodia.